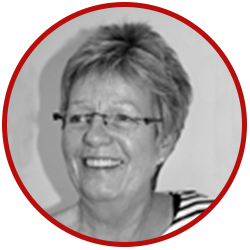 Susan founded Primary Engineer in 2005 and has over the years developed many additional programmes such as Secondary Engineer, The Leaders Award for STEM and now the Institutions of Primary Engineers and the Institutions of Secondary Engineers. Recipient of a great education in Burnley, Mark has come full circle in supporting Primary Engineer to assist others to follow in similar footsteps. 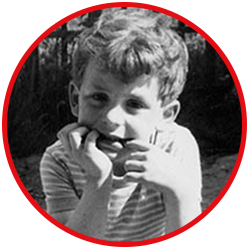 He has been fascinated by music, electronics and generally pulling apart, making and fixing things from a very early age causing periodic mayhem and consternation in the family home – e.g. quarter horsepower, Meccano-based electric curtains inspired by those in Mrs Peel of the TV Avengers’ apartment, but rather opening and closing with a bang rather than a swish. 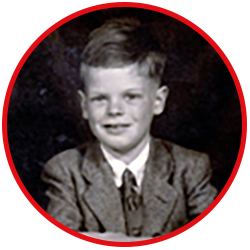 After graduating in Engineering and Digital Electronics, Mark worked in aerospace electronics for a few years before founding his own company in 1976 – applying aerospace technology to the enhancement of music. This was at the very start of the microprocessor and digital revolution. His company, AMS Neve, designs and manufactures professional sound recording and mixing equipment to the world’s top studios and artists – exporting over 80% of its output and winning three Queen’s Awards for Export. 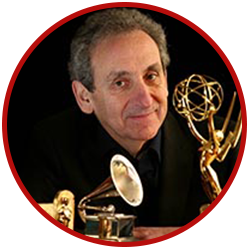 The business has also won an Emmy™ and a Grammy® for advancing the art and science of sound production, and Mark has personally won two Scientific and Technical Academy Awards (Oscars®) – these for the pioneering work on hard disk recording and digital film mixing – both developed entirely in Burnley, Lancashire, and changing the way music, TV and Film sound is produced. Mark was appointed OBE for Services to Advanced Manufacturing and Creative Industries in the New Year’s Honours 2014. In recent years he has devoted much time and resource to developing and promoting Burnley as a thriving centre for Advanced Manufacturing and Engineering. As part of this activity, he was inspired to launch and fund the “Making it in Burnley” programme using the Primary Engineer courses – made available to all Burnley Primary Schools with the result that 2,500 children were able to experience the joys of making electric cars within a year of conception of the programme. Fred was Head of the Department of Mechanical Engineering and then Dean of the Faculty of Science and Engineering at the University of Brighton, retiring from this post in 2003. He then served on the Engineering Professors’ Council for many years, becoming President for 2003-05. Fred Maillardet is a Chartered Mechanical Engineer. His first degree was in Mechanical engineering and his PhD in the analysis of muscle action during walking and the design of artificial limbs. Following experience as a Design Engineer in industry working on the design of large structures in the marine and nuclear fields, he entered Higher Education to teach Engineering Design. He became Head of the Department of Mechanical Engineering and then Dean of the Faculty of Science and Engineering at the University of Brighton, retiring from this post in 2003. He served on the Engineering Professors’ Council for many years, becoming President for 2003-05. 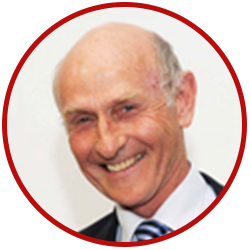 Fred chaired the IMechE Education and Training Committee and the subsequent Formation Task Force and Qualifications Development Board for 15 years and was actively involved in the Accreditation of engineering degree courses for more than 30 years. He currently chairs the IMechE Education Advisory Group. Fred was joint grant holder on a major Economic and Social Research Council Teaching and Learning Research Project from 2001 to 2005 studying how and what learning took place among engineers during their first three years of postgraduate employment. This study revealed significant shortcomings in the development and support of many graduates. 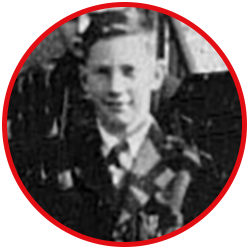 Fred established the Brighton and District Remap panel in 1976. This national organisation exists to design and build bespoke aids to help the physically disabled achieve greater independence. 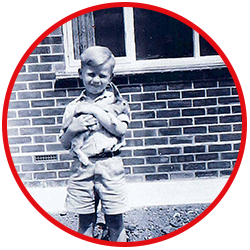 Fred currently chairs the Brighton panel and is a Trustee and Vice-Chairman of the national organisation. His other passion in retirement is helping to restore Oldland Windmill, an 18th century post mill in Sussex, where he is Chairman of the charitable trust. Professor Nash is a mechanical engineer with a background in structural mechanics. 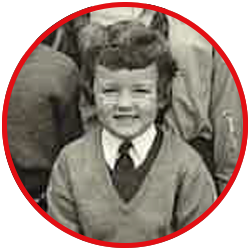 David attended Tarbolton Primary School then Mainholm Academy in Ayr. 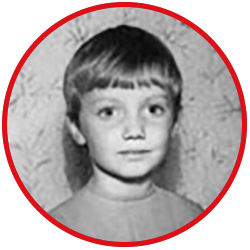 David studied Mechanical Engineering at Strathclyde University and worked in industry for several years before returning back to Strathclyde… to learn more about computer based design and analysis. He worked in the area of pressure systems for 30 years. 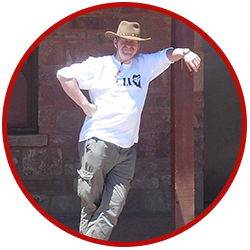 David is a fellow of the IMechE and ASME and chaired Scottish Region 2008-2010. Specialist in the application of finite element computer modelling to a wide range of bio-mechanics problems including knee, hip, KAFO, AAA stents and hand and wrist with multiple bone –ligament-muscle interaction. Also, experience of variety of structural materials including metals, shape memory alloys, ceramics, plastics and composite materials for use in a broad spectrum of applications. Management role in leading knowledge exchange and technology transfer across the Faculty and University and also in developing wider industry engagements. David was really, really keen on Thunderbirds when they first came out in the mid 1960’s and got the full set of vehicles from Thunderbird 1-5 for Christmas one year. My favourite was Thunderbird 1 and I wanted to be Scott Tracey. Thunderbird 1 was a fast response rocket plane – it was hypersonic and had variable sweep wings – so that it could be a rocket and also fly with the manoeuvrability of a fighter plane. 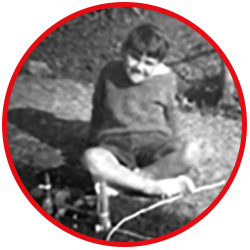 That’s me with my pride and joy toys in 1965-6 in P2. I wish I had kept them in good order and in their original boxes, because they would have been worth a fortune now. But I didn’t! Still, I had great fun with them and it led in a small way to me being interested in engineering!! 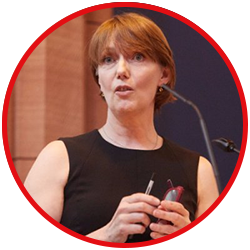 Professor Perkins is the former Chief Scientific Adviser at the Department for Business Innovation and Skills (2012-2015). Professor Perkins’ distinguished academic career includes service as Vice President and Dean of the Faculty of Engineering and Physical Sciences. The University of Manchester (2004-9); Principal, Faculty of Engineering, Imperial College London (2001-4) and ICI Australia Professor of Process Systems Engineering, University of Sydney (1985-88), as well as a period at the beginning of his academic career at the University of Cambridge (1973-7). He has served as President of the Institution of Chemical Engineers (2000-1) and as Vice President of the Royal Academy of Engineering (2007-10). Professor Perkins is currently an Honorary Professor at Manchester University, Visiting Professor at Imperial College London and a member of the European Commission Board of Governors. Graham was Executive Director of Educational and Social Services with East Ayrshire for 9 years before retiring in 2015. After working in physical distribution in industry he became a geography and modern studies teacher. He served on the Education Broadcasting Council for Scotland and a number of national working groups. He was also a Territorial Army officer for 19 years. Allan Cook was appointed a non-executive director of WS Atkins in September 2009, taking up the post of chairman on 1 February 2010. 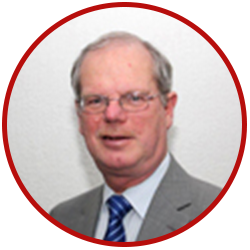 He is a chartered engineer with more than 40 years’ international experience in the automotive, aerospace and defence industries. He was chief executive of Cobham PLC until the end of December 2009. Prior to this he held senior roles at GEC-Marconi, BAE Systems and Hughes Aircraft. He was deputy chairman of Marshall of Cambridge (Holdings) Limited until December 31st 2015 and is a member of the operating executive board of J F Lehman & Company. 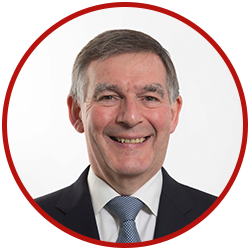 Allan is chairman of the Sector Skills Council for Science, Engineering and Manufacturing Technologies (SEMTA) and is Industry co-chair of the Defence Growth Partnership (DGP). Until August 2016 he was the lead Non-Executive Member of the Department for Business, Innovation and Skills (BIS). 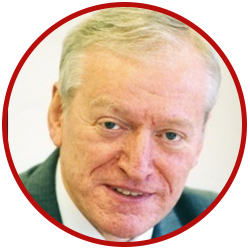 He was chairman of the UK Trade & Investment’s Advanced Engineering Sector Advisory Board until October 2013, and chairman of FINMECCANICA UK Ltd and chairman of Selex ES until the end of December 2014. He is past president of the Aerospace and Defence Industries Association of Europe (ASD) and past president of the Society of British Aerospace and Defence Companies (SBAC). He is a fellow of the Royal Academy of Engineering where he is Vice President and serves as a trustee for the Academy. He also chairs the Academy’s employer-focused Diversity Leadership Group. Allan became a Fellow of the China 48 Group Club in December 2015. He was awarded a CBE in the Queen’s New Year’s Honours list in 2008, and received an honorary Doctorate in Science from Cranfield University in 2016. Carol Anne, is currently the Human Resources Director for Babcock International Group responsible for the Rosyth site where she supports professional engineers, naval architects, detailed designers and craftsmen as well as a number of other professional support functions, who together have recently seen one of the two largest ships leave the site to join the Royal Navy Fleet in the shape of Queen Elizabeth Aircraft Carrier. The site also have a number of other exciting project they are delivering within the marine sector which also include oil and gas as well as renewables work. Carol Anne says that she has been fortunate to have had a great career having worked for three FTSE 100 organisations having previously worked for Bank of Scotland and Diageo in a variety of Human Resource roles, both specialist and generalist, despite starting her career within Diageo within Public Relations. Carol Anne describes her school years as interesting, as most teachers have a one size fits all approach to teaching which did not always suit her learning style. 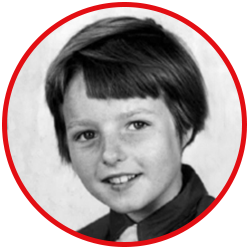 Despite being very shy she went on to become one of the school prefects in P7, Carol Anne went to Stenhouse Primary school in Edinburgh, then went on to attend Tynecastle High School, also in Edinburgh and stayed on into fifth year, leaving with a handful of O Grades, including technical studies and physics, so clearly not sure what career to take. She joined one of the largest drinks companies in the world Diageo and was encouraged to attend day release and evening classes with Diageo as part of her training so an early version of “earn and learn”, as well as further study as she progressed within business. Carol Anne attributes her career within HR to a couple of great managers and mentors who encouraged her in her pursuit of a Human Resources career and for that she will always be thankful. Carol Anne laughs when she talks about her school reports saying that she was always described by her teachers as studious and a hard worker, albeit easily distracted, and says that some of her colleagues may say nothing has changed! 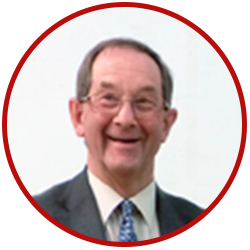 Now consultant to company but works mainly on voluntary basis on ASME Committees and IMechE in UK Vice President Stuart Cameron joined the Institution in 1979 and became a Fellow in 1990. Previously he was a member of Council, the Investigating Panel and the Power Industries Board. He is currently a member of the Employers Panel and has been chairing Professional Review interviews for the past 20 years. He started his engineering career as an apprentice draughtsman in John Brown’s shipyard in Clydebank and worked on the QE2. 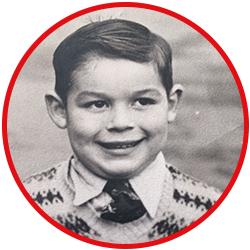 On gaining his HNC he went to the University of Strathclyde where he obtained a First Class Honours in Mechanical Engineering in 1970. He was awarded an MBA from the University of Glasgow in 1983. 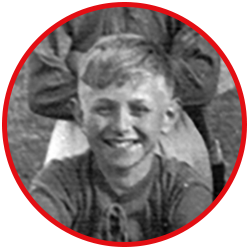 He joined Babcock & Wilcox as a design engineer and has had various roles in boiler and nuclear plant. He has been with the company, now Doosan Babcock Energy, for 39 years and is currently Chief Engineer with specific responsibility for technical risk management and investigations throughout all parts of the Company including compliance with existing and new legislation regarding pressure equipment. He is a Visiting Professor at the University of Strathclyde for their MScon Power Plant Systems. 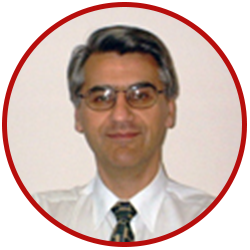 He is chairman of the BSI Boiler Committee and the ISO Working group for procedures on international compliance of boiler and pressure vessel standards. He is also a member of ASME Committees on Power Boilers, International Material Specifications and Boiler & Pressure Vessel Accreditation. Ginny is a senior manager in the Human Resource function for the Energy & Marine Technology business unit. The role is responsible for the capability requirements of approximately 850 employees across all functions. Significantly in this figure there are 550 engineers and designers (naval architects, mechanical and structural disciplines) employed to meet the business demand in markets of defence (UK and commercial), energy, oil and gas, renewables, nuclear and marine and technology across six sites in the UK. Additionally, Ginny manages the Babcock Marine & Technology (Rosyth) Graduate Development Programme as part of the business strategy to attract new and innovative engineering and business graduates for the growth and development of the business. 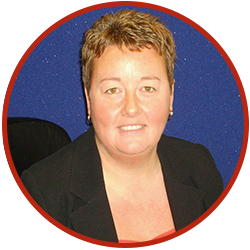 Within her professional career Ginny has worked for various large defence and commercial organisations, key being BAE Systems, EADS and Boeing. These positions provided the opportunity for extensive durations of working in Europe, USA and Canada In 2013 Ginny was asked to become a board member on the Primary Engineering Advisory Board. When I was at primary school, the diversity of my chosen career went from a butcher (It was the mince making machine that fascinated me) to a train driver (had to be steam engines), so indirectly and through a rather spurious route engineering attracted me without me knowing. Why would a machine that ground meat hold my imagination and of course the limited understanding at that time of the power of steam. At secondary school, I knew I wanted to be in engineering and went down the route of a formal apprenticeship that provided me with the springboard for many happy years of employment and challenge in engineering positions. Former Chief Executive Scottish Engineering and Member of Court University of Strathclyde from 2003 until 2012. In 1993, Peter was awarded the OBE by Her Majesty the Queen for services to the UK Steel Industry. He was Chief Executive of Scottish Engineering, and a Member of Strathclyde University Court from 2003 until his retirement in 2012. 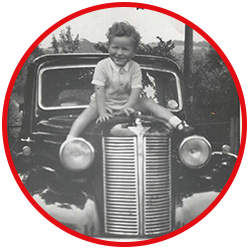 Peter was born and raised in Lanarkshire and educated at Wishaw High School before studying at Coatbridge Technical College, the University of Strathclyde and Dundee University. He was chairman and Managing Director of Glencast Ltd, Leven, Fife who won the prestigious Queen’s Award for Technological Achievement in 1990. Glencast was formed in 1983 following his leadership of a Management Buy Out. He eventually sold the company to NACO Inc, Chicago, Illinois, USA in December 1994. Peter was awarded the OBE in the 1993 New Year Honours for his services to the UK Steel Industry and in 1995 he was elected a Fellow of the Royal Academy of Engineering. He is currently the Chief Executive of Scottish Engineering and has been “The Voice of Engineering Manufacturing Scotland” since 1998. Peter became a member of the General Teaching Council for Scotland from 2001 till 2005 and in 2003 became a key participant for the Scottish Executive Pilot Programme which resulted in the introduction of “Make It In Scotland” Roadshow for all Scottish secondary schools. Peter is passionate about the sector and has continued to enjoy a very busy career having represented various Scottish and UK bodies at National and International level. He regularly features in the media and takes a positive message on Engineering around the Country with his “Engineering Roadshow” which has addressed in excess of 60,000 students and pupils since 1999.